A scarcity of documentation for most of Egypt’s rulers makes it difficult to present a true biography for any one of them; authors often have to take a thematic approach, covering a series of topics about a king’s life and reign. However, Kozlov argues, the wealth of material available from the reign of Amenhotep III allows her to present a chronological history of the King’s life. Beginning with his childhood in the Fayum, Kozlov takes us through his early years during the reigns of his grandfather, Amenhotep II, and father Thutmose IV, to his accession in c. 1391 BC, a richly successful campaign in Nubia (which enabled him to begin constructing his tomb and mortuary temple), and his marriages to Tiye and the Mitanni princess Gilukhepa. There is an odd gap during his thirty eight-year reign (Years 12 to 19) that is not documented, an “eight-year silence” in an otherwise “chatty” reign, marking a radical change in the king’s life. Kozlov believes this may have been a period of crippling plagues, and points to the huge numbers of statues of Sekhmet (goddess of war and pestilence) produced at this time. She continues with an account of the development of Malkata, a further campaign and extensive temple building programme in Nubia, and the king’s gradual transformation into a divine being, becoming a god in his own right by the time of his first jubilee in Year 30, c. 1362 BC. However, by his second and third jubilees there were signs of decline; Amenhotep’s building projects dwindled in number and size, international relations became more difficult, and the country suffered from famine and disease. It seems paradoxical that while Amenhotep III’s reign is often seen as Egypt’s ‘Golden Age’, it is his two heirs, the weaker kings Akhenaten and Tutankhamun, who are world-famous today. Kozlov finishes with a brief look at the reign of the former, which she describes as one of the darkest periods of Egypt’s history. The life of one of the richest men on earth should perhaps warrant at least a couple of pages of colour photographs, but sadly, apart from the maps only a few black-and-white, low resolution photographs are included that cannot do justice to the beautiful artwork of the reign. 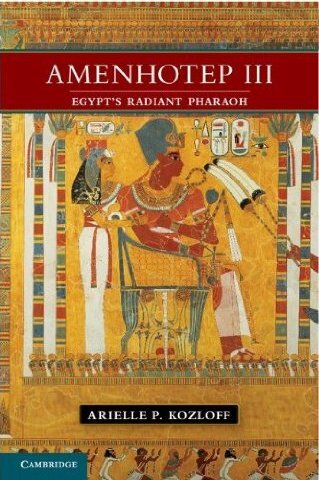 The front cover at least is eye-catching, and there is a comprehensive bibliography, a glossary of names, and full notes, references and index, making this a welcome addition to the available studies of Egypt’s ‘Dazzling Sun’. A foreword from Zahi Hawass introduces this comprehensive exploration of Ancient Nubia, with contributions from Marjorie Fisher, Peter Lacovara, Salima Ikram, Robert Morkot and David O’Connor among others. 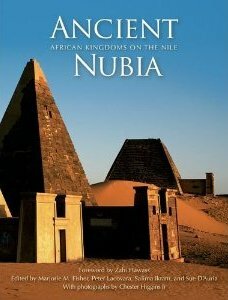 Part One covers the history and culture of Nubia from the Paleolithic period (c. 1,000,000 BP) through to the Islamic Period (c. 1400 AD and beyond), including art and architecture, religion, burial customs and daily life. Part Two is an exploration of the main excavated sites, from Gebel Qeili and Naqa in the south to Elephantine and Aswan to the north. The book is illustrated with plenty of colour photographs, maps and drawings, each chapter has its own bibliography and there is a useful list of museums holding Nubian collections. This is an excellent introduction to an important and less well known culture: essential reading for both the serious student and general reader. Egypt in 30 BC was in the unique situation of being simultaneously an ancient civilisation and a fledgling Roman province, making it an excellent choice for the study of medical development. In this British Archaeological Report, Jane Draycott examines the healing strategies used in Egypt from the late first century BC to the fourth century AD, exploring how Egyptian, Greek and Roman customs and traditions interacted. She includes both “rational” means of healing (surgery, drugs, etc) and “irrational” means (magical incantations, amulets and divine intervention) used by both professional practitioners (doctors, mid- wives) and “amateurs” (domestic or folk medicine). There is a complete chapter on eye complaints, with two detailed case studies from Oxyrhynchus (where wealthy weaver Tryphon was released from military service because of his eye problems) and Karanis (petitions by landowner Gemellus Horion who claimed he was being disrespected because of his “weak vision”). A section on various types of fever gives one remedy which included red lead, oil and wax, while the chapter on the dangers of wild animals discusses the healing strategies used to deal with bites, stings and other injuries. 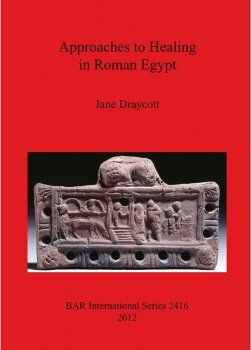 Draycott concludes that the healing strategies used in Roman Egypt were dictated by a range of historical, cultural and social factors, and depended to a large extent on the sufferer’s geographic location and access to practitioners and treatments (professional and otherwise), with a significant level of individual autonomy: an early form of patient choice perhaps? 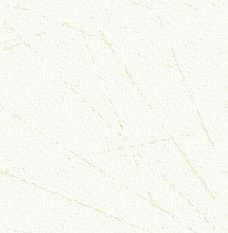 In today’s hi-tech world of satnavs, Google Earth images and the widespread use of maps in the media, it is hard to imagine a time when maps and map-making were a rarity. This volume, comprising seven academic papers, charts the development of map-making from the earliest written and drawn maps in Mesopotamia, through to the detailed itineraries and maps from the end of the Roman Empire. 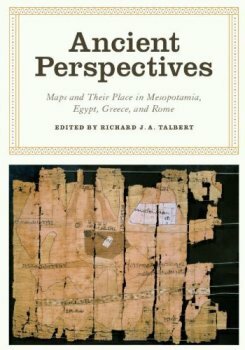 The main interest in this book for Egyptologists must be the paper by David O’Connor, with his discussion on maps from Egypt. O’Connor explains that some of the key maps of places can be found on the walls of temples. Such ‘maps’ can be found at Abu Simbel (the plan of the Battle of Qadesh) and on the outside of the northern wall of Karnak’s Hypostyle Hall (Seti’s campaigns in the Levant). These can be read as ‘smiting scenes’ where the king defeats an enemy for the benefit of the gods. But as well as maps on temple walls, the Egyptians produced what we would consider more conventional maps. A number of papyri from New Kingdom Deir el-Medina show a tomb plan and the site of gold mines in the Eastern Desert. We also have a Graeco-Roman map of the ‘Book of the Fayum’ that combines topography with the locations of places and myths that are associated with the god Sobek of Crocodilopolis. Other papers in the book contain details of the Greek maps of the world and the Mediterranean, information on Roman surveying techniques, and how the Romans used maps to define and govern their empire. Unlike the Egyptian maps, however, many of these later maps are only known from very late copies or reports by various classical authors. The book itself is really aimed at the map-maker, and the classical scholar. Nonetheless, it does contain some interesting points for the Egyptologist about maps of ‘real places’. I would also have liked to have seen included information about ‘maps’ of the Afterlife in tombs and temples, but those would make a number of papers by themselves! AE Editor Peter Phillips enjoys another reprinted classic Egyptology text: the latest edition of a book originally published in 1891. 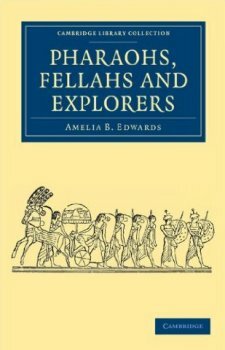 Most readers will associate the name of Amelia Edwards with her most famous book A Thousand Miles up the Nile which inspired a huge amount of interest in Egyptology in the UK, and made her internationally famous. Pharaohs, Fellahs and Explorers dates from the end of her career, when in 1889-1890, she was invited to give a series of lectures (over a hundred and ten in number) in the USA, campaigning on behalf of the Egypt Exploration Fund (now the Egypt Exploration Society) of which she was founder. This book is a collection of her lectures with additional notes and illustrations and was originally published in 1892 only a month before she died. There are eight chapters: The Explorer in Egypt; The Buried Cities of Ancient Egypt; Portrait Painting in Ancient Egypt; The Origin of Portrait Sculpture, and The History of the Ka; Egypt the Birthplace of Greek Decorative Art; The Literature and Religion of Ancient Egypt; The Hieroglyphic Writing of the Ancient Egyptians; and Queen Hatasu [Hatshepsut], and her Expedition to the Land of Punt. Although the information she imparts is necessarily dated and has to be read in the light of later discoveries and research, her style is fluid and her enthusiasm for the subject matter makes for a most enjoyable read.